The magnificent North American eagle will take you to the air and show you wonders of a great American land from the bird’s eye view. 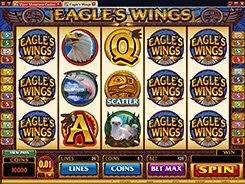 Try your luck on the Eagle’s Wings video slot powered by Microgaming. 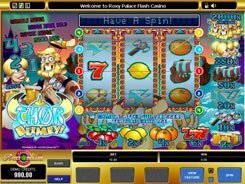 The game has a five-reel 25-payline layout. Fittingly, its symbols include eagle’s head, nest, flying eagle, salmon, etc., and on the backdrop of it – picturesque forests and mountains. 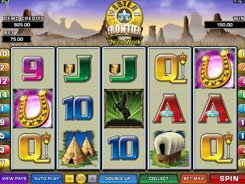 You can bet up to five coins per line, and adjust a coin denomination in a narrow range of $0.01–$0.25. A wild symbol is depicted by the Eagle’s Wings logo. 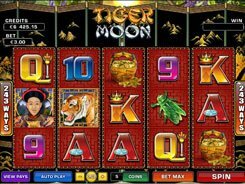 Whenever five of them land on a payline, you get a jackpot prize of 1000 coins. A wild helps produce winning combinations by substituting missing symbols. Besides, a wild doubles the payout when substituting. 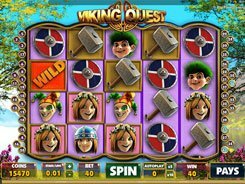 The Eagle coin is a scatter triggering a free spins round. 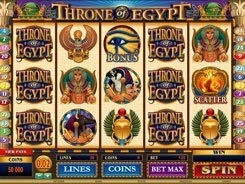 When the bonus feature is activated, you are allowed to pick up to 3 coins to reveal the number of free spins awarded, with a maximum of 60. All the payouts earned during the bonus round are trebled.